Film review – Moonlight (Barry Jenkins, 2017) | Cinema, etc. Barry Jenkins’s cinematic tryptich, which serves as a revealing cross-analysis of homosexuality in the black America community, is a film that will do nothing if not leave a lasting mark on your memory. It’s complex. It’s provocative. It’s beautiful. It’s absolutely brilliant. Split into three equal sections, the film comprises extended vignettes based around Miami-based Chiron. As a child he is portrayed by Alex Hibber at a time in his life where he is a loner, lacking support from his drug-addict mother (Naomie Harris) and feeling isolated at school. As a college student he is portrayed by Ashton Sanders as he struggles to cope with his mother’s growing addiction but also has his first sexual encounter with a childhood friend. The third section of the film covers a late-20s Chiron (Trevante Rhodes), now much hardened to life and living away from his home city in Atlanta, but returning to visit his mother and that same childhood friend. Much like Lion earlier this year, Moonlight is a triumph due to several actors portraying its central character at different stages of his life. Each of the performances is well nuanced, but build up a complex picture of Chiron, the pay-off being in the final third as we realise what he has become is every bit influenced by what we’ve seen of him as a child. Where Moonlight really excels though is its ability to steer away from the stereotypes almost every mainstream film portrays these types of characters as. This is a tale about a homosexual black American which allows neither the colour of his skin nor his sexuality to define him. 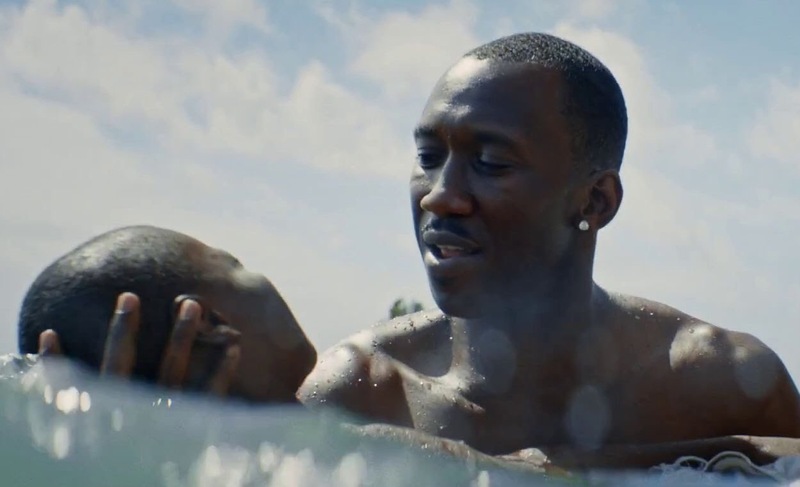 Aside from the lead character, there is an exceptional contribution from Mahershala Ali as Juan, a drug-dealer who comes across a young Chiron hiding from some bullies in a property he owns. Rather than what we’d have come to expect, which would probably involve some amount of grooming and exploitation, instead we see him become a father figure for the child, teaching him how to swim and offering him a place to sleep and food to eat. It’s refreshing to see a character exist in this manner and hopefully this is a sign of things to come at cinemas. It’s no surprise that it has earned Ali an Oscar nomination. It’s a personal film that deserves all the plaudits it has received. With a timely release during Black History Month, a film that challenges the status quo has to be welcomed with open arms by the forward thinkers of the world, even if it seems like backwards thinking is taking over the world.